Kjersti Sletteland is an artist based in Edinburgh. She works in a range of mediums, including porcelain. She exhibited works from her series BIOSENARIO at the Scottish Arts Club in September. 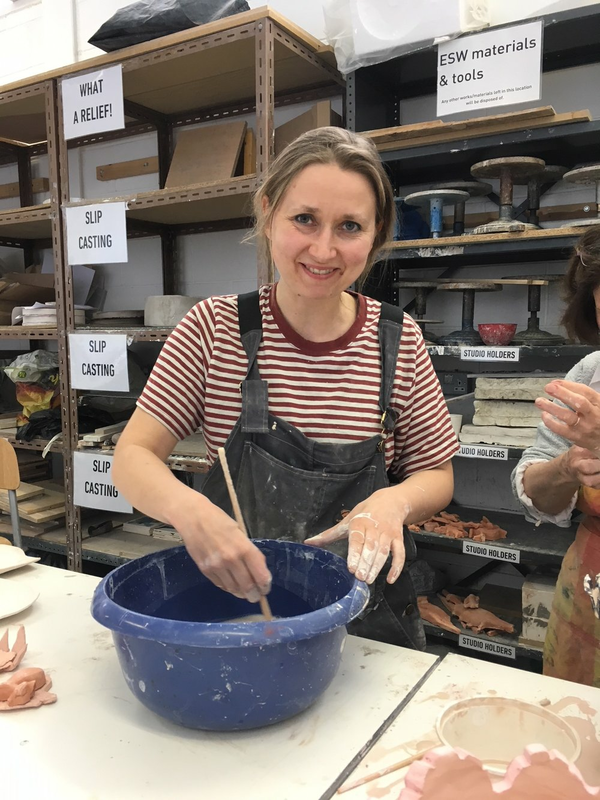 Photos show Kjersti and some of her class, glazing pieces ready for firing. Finished pieces will be on show in the June exhibition in the Scottish Arts Club. 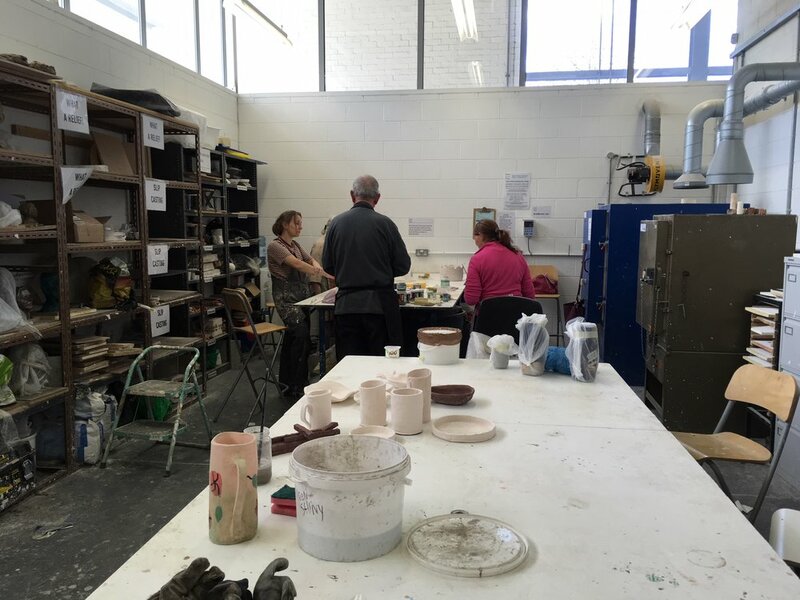 Are you interested in ceramics? Look out for more classes being offered in the Autumn. Just give your name to Joyce Campbell (Studio Team) if you are interested for the Autumn classes! Pictured above: Edinburgh Sculpture Workshop, where Kjersti has her studio.